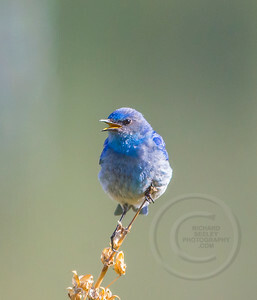 Male Bluebird on Alert - A male mountain bluebird is on alert for prey. 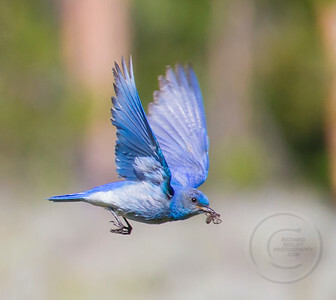 Dillon, Colorado. 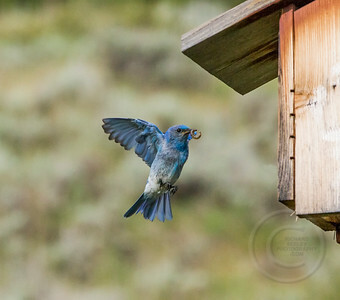 Butterfly Catcher - A male mountain bluebird stands ready to deliver a butterfly to the hungry chicks in the bluebird nest. Dillon, Colorado. 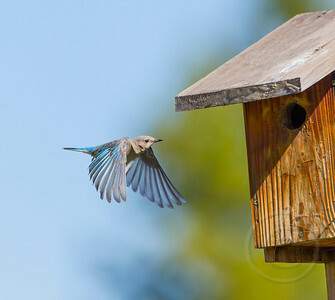 Female Bluebird Braking for Birdhouse - A female mountain bluebird spreads its wings in a downward motion as a brake to prepare for its entrance into its birdhouse. Dillon, Colorado. 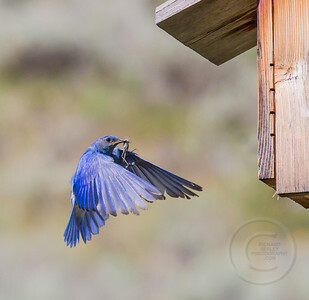 Landing A Meal - A mountain bluebird flies to and from a nest to feed its chicks. 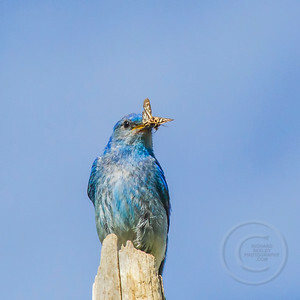 Mouthful of Mouth - A male mountian bluebird delivers a moth for breakfast to the nest. 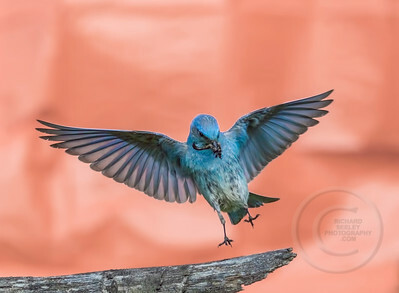 Dillon, Colorado. 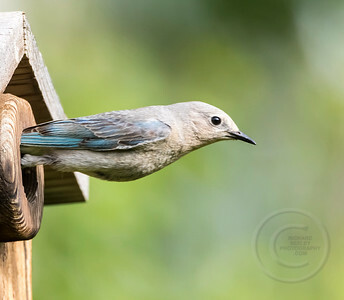 Female Bluebird Braking - A female mountain bluebird spreads its wings in a downward motion as a brake to prepare for its entrance into its birdhouse. 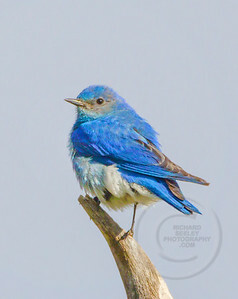 Dillon, Colorado. 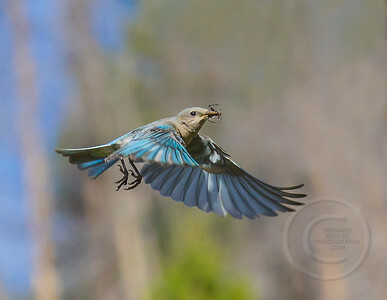 Anteaters - A female mountain bluebird delivers ants to its hungry ant eater chicks. 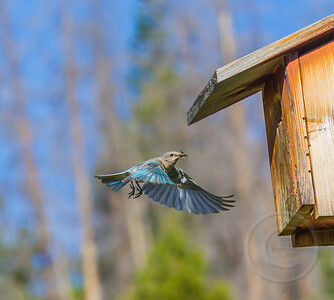 Dillon, Colorado. 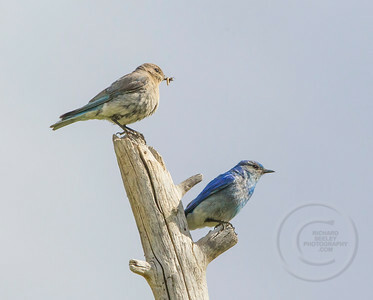 Bluebird Pair Resting - A male and female bluebid take a rest from their intense task of feeding their newborn chicks. 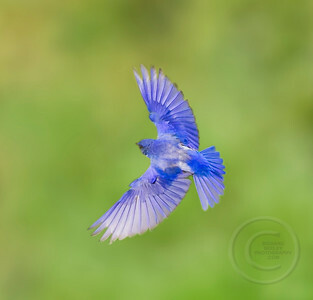 Dillon, Colorado. 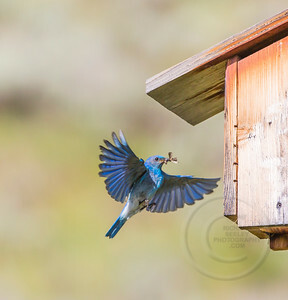 Mealy Worm Meal - A male mountain bluebird delivers a mealy worm to the birdhouse nest of hungry chicks. 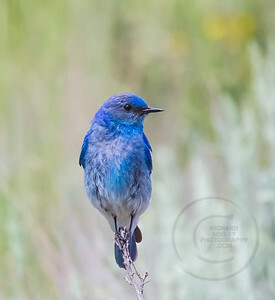 Dillon, Colorado. 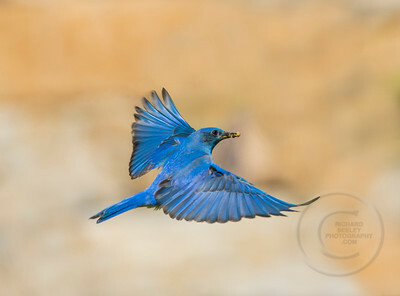 Bluebird Bonanza – A male mountain bluebird flies in search for worms, grasshoppers and other tasty treats for the chicks in its nest. 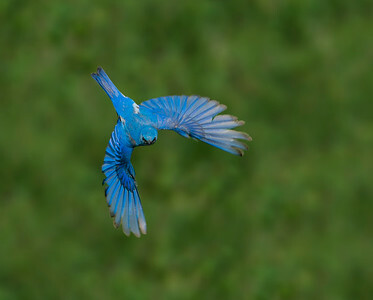 Silverthorne, Colorado. 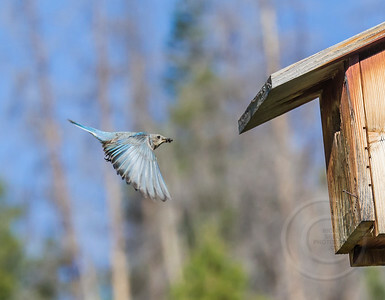 Bluebird Bullet - A male mountain bluebird flies from the birdhouse like a bullet from a gun. 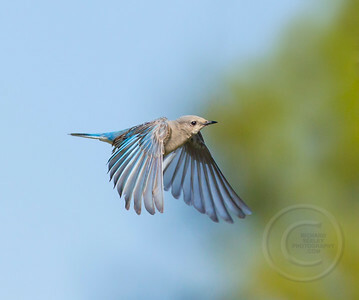 Sharp Right Turn - A mountain bluebird flies to and from a nest to feed its chicks. 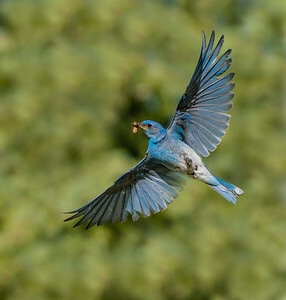 Bacon For Breakfast - A male mountain bluebird with wings extended brings a tasty meal to the bluebird nest. 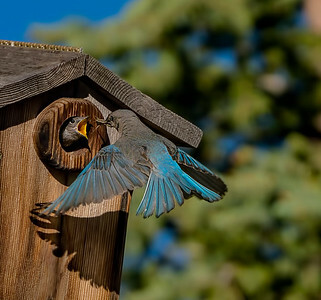 Silverthorne, Colorado. 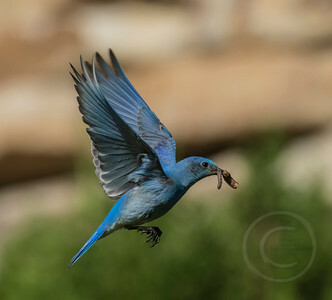 Bringing Home The Bacon - A mountain bluebird caries a worm to the nest. 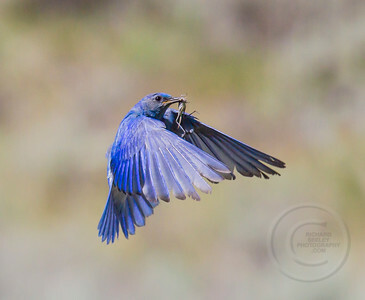 Spider for Breakfast - A male mountain bluebird is about to deliver a spider to its hungry chicks for breakfast. Dillon, Colorado. 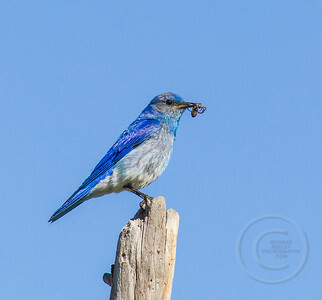 Hopper Down the Hatch - A grasshopper is about to go down the hatch of a hungry mountain bluebird hatchling. 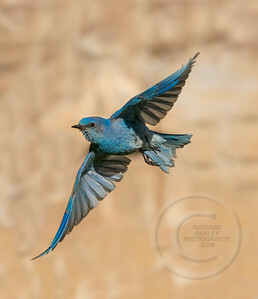 Silverthorne, Colorado.